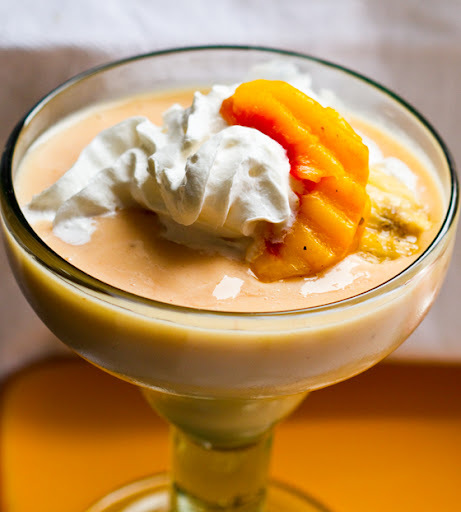 Bananas 'n Peaches 'n Cream Shake. Vegan Treat. 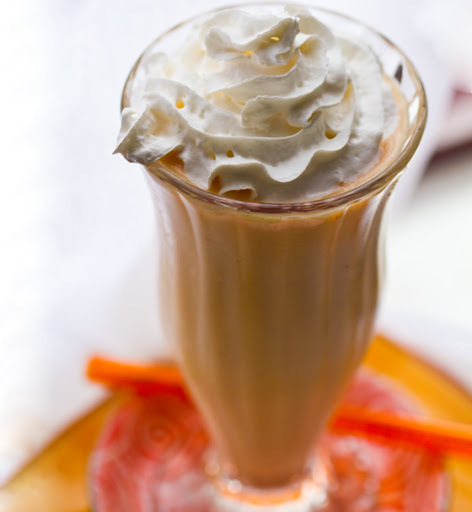 Craving: a tall creamy shake, soy whip swirled on top. Fluffy frosty texture - sweetness in each sip. (Packed with healthy good stuff too.) And peaches always make me swoon. The result: my Peaches 'n Banana 'n Cream Shake. 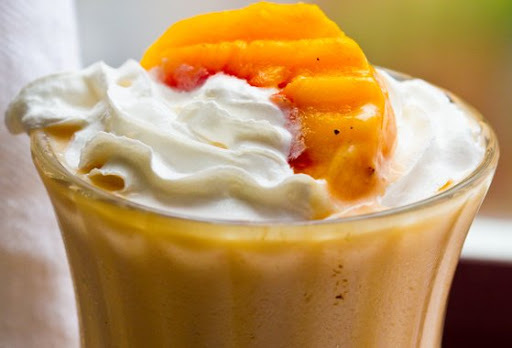 Healthy, frosty, creamy, peachy sip..
And more of the Peachy Keen shake..